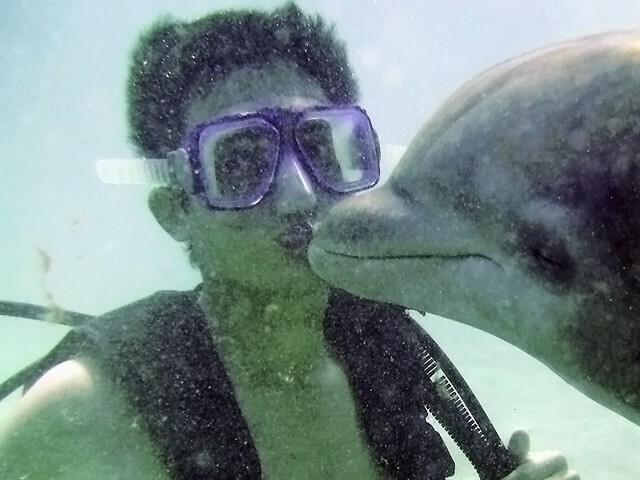 You can enjoy a unique underwater perspective of the remarkably agile and powerful swimmers, the dolphins. 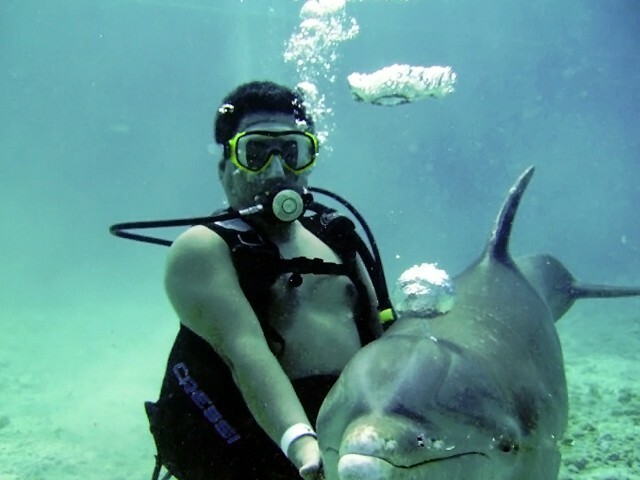 Even if you have never been scuba diving before, you can participate in this fantastic Dive with the Dolphins tour in Chankanaab National Park, a spectacular marine preserve off the leeward shore of the Island of Cozumel. 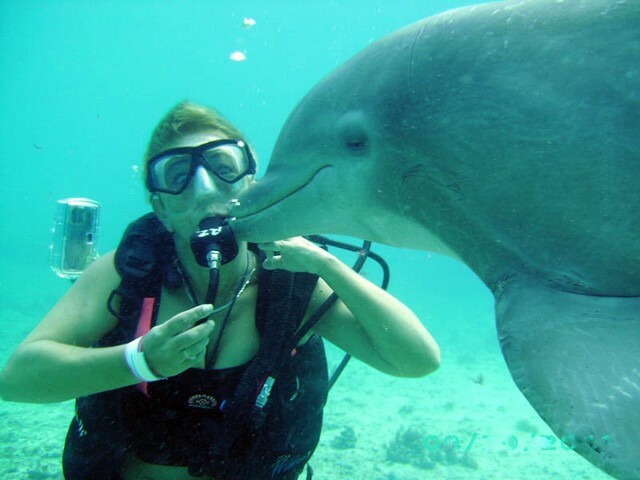 Experienced divers and novices alike will enjoy interacting with dolphins in their native environment. This tour is a great way to gain a true appreciation for these magnificent cetaceans. Underwater, you’ll gain a better perspective of how these athletic creatures maneuver dexterously through the crystal clear waters of the Chankanaab aquatic reserve. You can even hear them communicate to each other underwater. 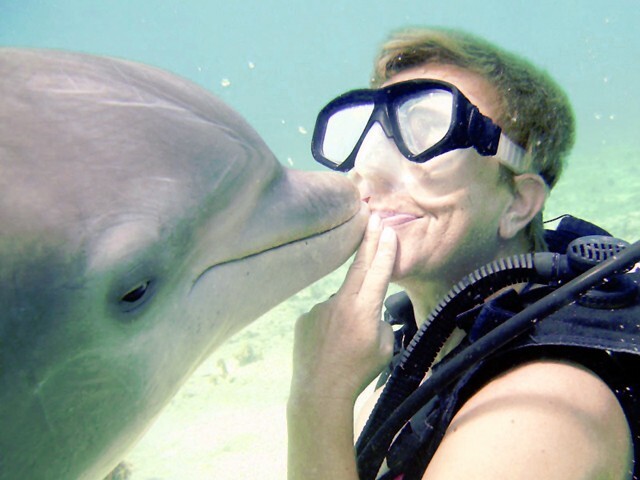 The affectionate dolphins will give you a kiss, a handshake, and even allow you to embrace them underwater. 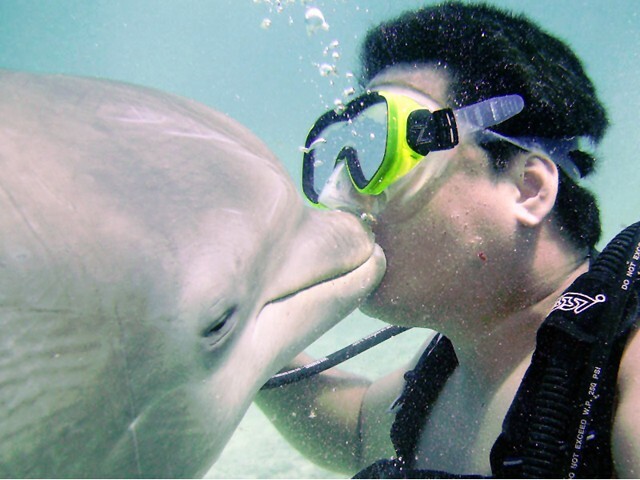 The dolphins enjoy being petted. The skin of these sleek marine mammals is silky smooth to the touch. You will even be taught how to communicate with these intelligent animals through the use of hand signals. You can request incredible jumps and even underwater dancing from the dolphins. They love to perform for visitors. All participants will be instructed on how to scuba dive and become familiarized with the scuba gear before interacting with the dolphins. Your certified dive instructor will be on-hand to provide guidance and supervision on your dive. Entry to the park is included in your fee for this tour. Snorkeling equipment, for use after your Dolphin Dive, is available for those who wish to explore the reef and sculpture garden off the lovely Chankanaab beach.